If you cannot browse the Internet because of Travian Browser Game pop-ups or other ads, you should implement a spyware removal tool to ascertain what adware or other type of malicious application is present within the system. 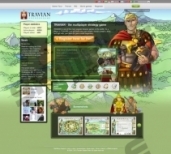 Travian Browser Game pop-ups may also be provided by the website you are on, in which case you should only avoid visiting it in order to avoid intrusive pop-up advertisements. 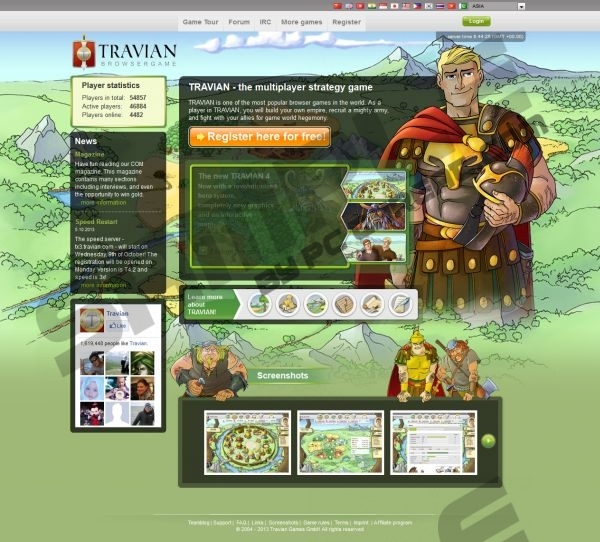 The Travian Browser Game pop-up promotes a browser-based strategy game where the users have to develop a village and built an army. However, in addition to the advertisements promoting Travian, you may also find ads or links promoting freeindexsearch.com or travelsiteindex.com. It is advisable to avoid clicking on such ads because they are likely to take you to insecure websites. If your computer contains an adware program, the pop-ups, pop-unders, and other forms of advertising are displayed in order to lure you into visiting unknown websites so that you try out or buy suspicious products. Do not click on the ads offering to scan the PC or informing that you have won a tablet, cell phone, or any other device. It is likely that the website is aimed at acquiring your personal details, which might be used for, for example, sending you spam emails. The adware program generating Travian Browser Game pop-ups and other advertisements are very often installed through freeware or shareware. They are usually presented on a separate installation page and can be left out. Therefore, you should always pay attention to the information that you are provided with so that you can decline the installation of the unknown or suspicious additional program. If you are eager to remove Travian Browser Game pop-up and other annoying pop-up advertisements, you should uninstall the adware program that may have also been installed without your permission. However, it may be insufficient because some components of the program may be left and may also send ads to your browsers. Keep in mind that it is possible that some malicious tracking cookie is also present, which is why you should use a reliable spyware removal tool to remove Travian Browser Game pop-up. Our team recommends using SpyHunter because it can eliminate various malicious computer programs and shield the system from various threats. The application will also run automatic scans, which saves your time, so what are you waiting for? Install the program to be sure that you can browse the Internet safely. Quick & tested solution for Travian Browser Game pop-up removal.